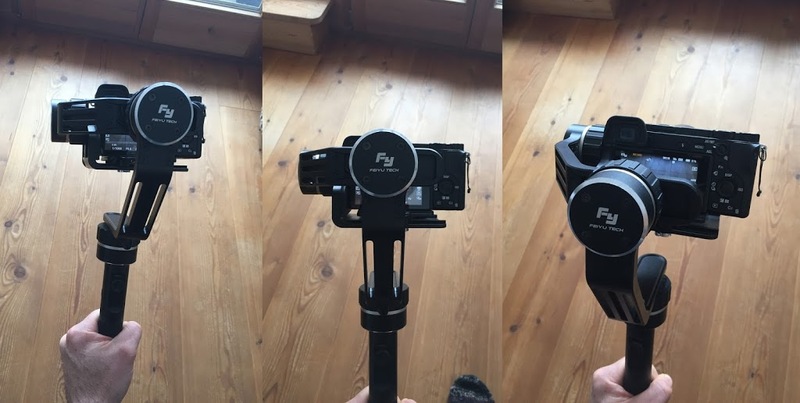 The Feiyu MG stabiliser is great for shooting smooth video with my Sony a6300 , however the gimbal blocks the view of the Sony’s LCD screen making it difficult to see what you’re shooting (see photos below). Another disadvantage of using the Feiyu MG with the Sony a6300 is that you have to have the left side of the camera pressed up against the gimbal to balance it (it doesn’t work the other way round), meaning you can’t access the HDMI port to plug in an external monitor. The LCD screen on the Sony is also pretty small, doesn’t fully articulate and is rendered almost useless if you’re shooting outdoors. I found a solution to all of this when I realised that I could actually use my iPhone 6 as a wireless external monitor with the Sony PlayMemories app and the Smart Remote Control function on the camera. 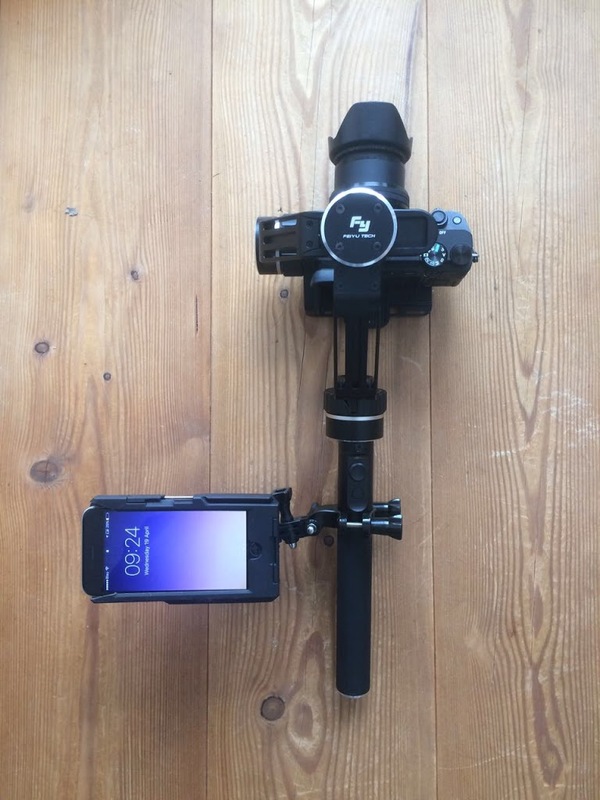 To attach the iPhone to the Feiyu MG, I used multiple GoPro connectors, from a handlebar mount on the MG to a sticky mount on the back of an iPhone case. Connecting it in this way meant I could angle the iPhone screen in many different ways as I was holding the stabiliser. Previous Previous post: The Lightest 4K Videography Set-Up?